We’ve compiled this review with the best high range camera phones in the market. Here the budget does not have to be a problem, but in exchange for the investment we will take a powerful and versatile camera, very functional both in the day to day and even to go on vacation. The smartphone selected in this last price range shine especially on the competition both when making daytime pictures, with a high level of detail and a wide dynamic range, as in the night scenes, which until a few months ago seemed a pending subject Even within the high range. Choosing is a matter of taste. Some will love the portrait mode of the iPhone 7 Plus, others will prefer the spectacular contrast of the photos of the Samsung Galaxy S7 and S7 Edge while more than one will opt for the dual camera Huawei Mate 9. At the video level the Sony Xperia XZ seems to be - at least - at the height of the best and the HTC 10 does not seriously neglect in any aspect. The best iPhone in the market stands out for its double camera and, especially, for its portrait mode. But let's talk about numbers. The main camera of the iPhone 7 Plus has 12 megapixels with wide-angle, ƒ / 1.8 aperture, a six-element lens and optical image stabilization. In addition it counts on a chromatic range of greater spectrum to better capture the colors of the scenes with total naturalness and Flash of four LEDs. To this impressive camera, already to the height of the best of the market, is joined a second also of 12 megapixels with telephoto. In this way you can make spectacular photographs thanks to the image processing of the phone, capable of zooming two magnifications without losing virtually sharpness. In addition with this configuration you can enjoy digital zoom of up to ten increases in photos and six in video. In our analysis of the iPhone 7 Plus we see that the results are outstanding when taking portrait photography and, especially, in scenes with low lighting or directly nocturnal. 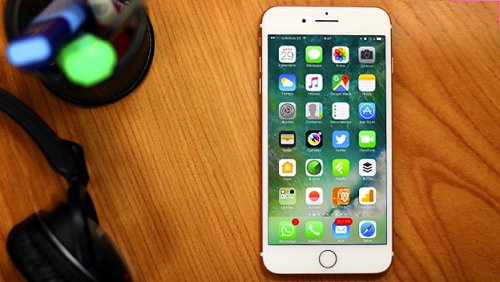 The new iPhone offers better definition, more details and a lower noise level compared to the previous generation. In addition we can capture images without compression (RAW) so we can then retouch the images to our liking. 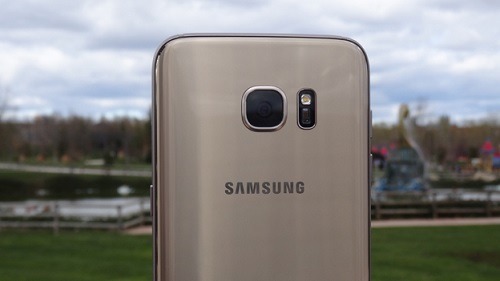 Within the Android universe probably the best camera with the best of 2016 is the Samsung Galaxy S7 Edge, a smartphone round in every way. In the photographic section we speak of a main sensor of 12 megapixels with a very wide aperture (f / 1.7), a focal length of 26 mm, autofocus by phase detection (PDAF), optical image stabilizer (OIS), LED flash and size Of much larger pixels than usual, namely 1.4 μm. All these vertigo numbers translate into spectacular photographs in all situations, with clear and sharp images in the exterior, with a very wide color richness and a spectacular contrast, taking advantage of the HDR mode automatically and always focusing where it should. With the S7 Edge it is insultingly easy to get good pictures but it is also easy to get good images - clean and crisp - also at night, even with spots of artificial light. The wide angle of the two cameras allows to get images with a lot of information, being especially useful when photographing large groups of people as if we were using a wide angle. The Pro mode is a complete manual mode that allows us to manually modify all parameters of the image and, of course, we can shoot in RAW. All this accompanied by a spectacular super AMOLED screen with which the photographs will still shine more. And the story is almost the same if we use the front camera for selfies, although in this case the results are slightly lower in night scenes or very poor lighting. At the photographic level the Mate 9 is a sort of evolution of the P9. The new smartphone launched by Huawei in the last quarter of the year has two sensors in the back, of course under the seal of Leica. The main has 12 megapixels with wide aperture (f / 2.0), optical image stabilization, two-fold hybrid zoom, laser auto-focus by phase detection and 4K video recording. This 12-megapixel sensor adds a secondary of no less than 20 megapixels, in this case monochrome to immortalize black and white photographs with a high level of detail. In addition we can play with a kind of software-simulated Bokeh effect that has no waste, as well as the hybrid zoom of two increases without loss of sharpness. By day, in outdoor scenes, the camera can compete directly against any flagship of LG, Samsung or Sony, among other things for its spectacular automatic mode that is able to always get spectacular images. And although the results surpass the outstanding in all the scenarios yes it is certain that in the nocturnal photograph is a step below with respect to the two mobiles previously indicated. For its part the front camera is eight megapixels and offers very satisfactory results. 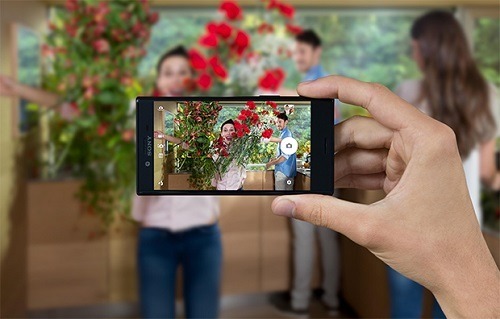 Sony is one of the leading manufacturers of photographic sensors for smartphones, but surprisingly that know-how has not finished translating into a significant advantage within the high range. The picture seems to have begun to change with the Xperia XZ, whose camera - this time it seems to live up to the flagship of other companies. The camera numbers of the Xperia XZ dazzle: 23-megapixel rear sensor with 5-axis image stabilizer, auto-focus laser sensor, RGBC-IR sensor capable of automatically adjusting white balance and capture sensor to anticipate the movement of objects. On a more technical level, the camera of the Xperia XZ adapts to each photograph to perform to the maximum : if you take detailed photographs or macro, 5-axis stabilization comes into play, while in other situations the stabilization is "only" 3 axes. The results are especially spectacular when recording video, with no sign of distortions, deformations or trepidations. The images have a very high level of detail and show some colors quite faithful to the reality that will leave you satisfied. In low light conditions the camera also responds positively , although it tends to slightly overexpose the scenes. In addition, it will require you to keep the smartphone completely still to extend the exposure time, an option always recommended before resorting to flash, which often shatter our scenes. After drifting for years the Taiwanese HTC seems to have regained the north in view of the good performance of its flagship with regard to the photographic section. 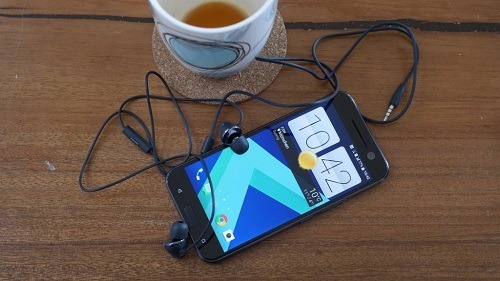 The HTC 10 mobile phone has a main sensor of 12 ultrapíxeles (pixels of 1.55 microns) developed with Samsung and that mounts for example the Nexus 6P. This configuration in practice allows you to capture much more light, getting more natural images than in previous generations and being able to shine in night photography. In our analysis of the HTC 10 we verified that the results reached the outstanding in exteriors under good illumination in terms of sharpness and dynamic range. Color capture is also outstanding, though many users prefer the more vibrant over saturated colors offered by other manufacturers. The focus is fast and the automatic white balance works satisfactorily. In addition we have a complete manual mode in which the option to capture images in RAW format stands out. The dreaded noise only appears if we zoom to the last pixel in complex scenes, which places the smartphone safely off the podium but without problems to enter the top 5 of 2016. In addition we can record video in 4K with high quality sound (24 bits) thanks to the incorporation of three microphones with results far superior to the most direct competition. And if it were not enough the front camera for selfies -5 megapixels - has optical image stabilization, so we will always get results of very good quality. So far this was our review of the best high range camera phones of 2016. Now you only have to decide on the one that suits you according to your budget and also depending on the use you are accustomed to make with your camera.